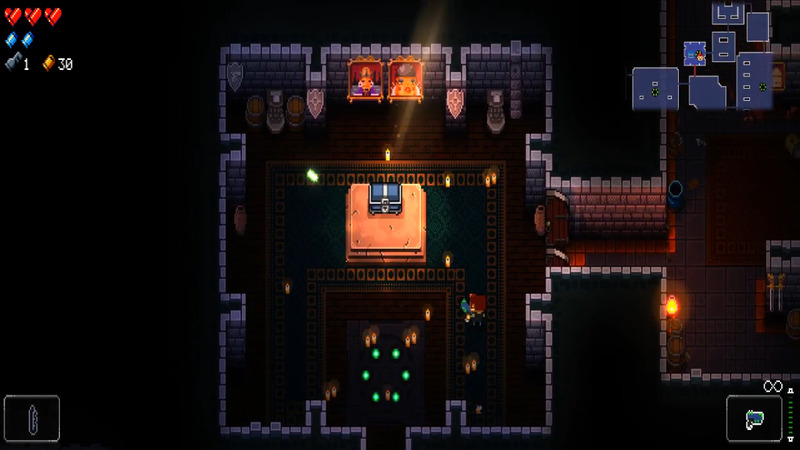 Enter the Gungeon is a huge favorite of Eric's and he loves to write about the game. He wants to share advice and strategy with others. 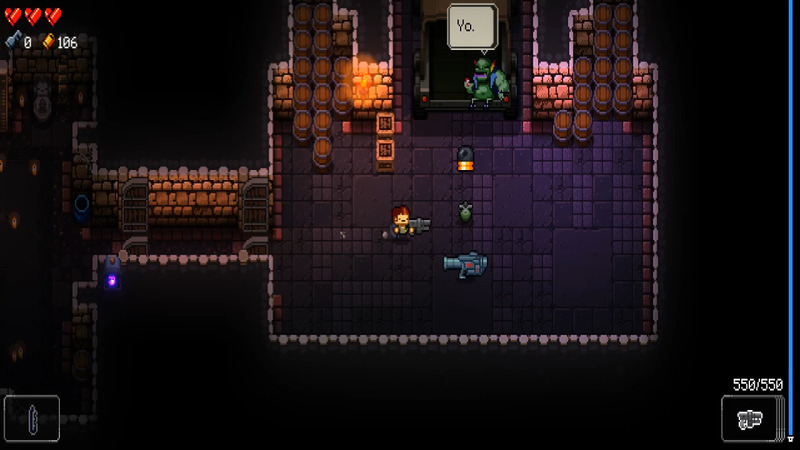 What Is Your Favorite Enter the Gungeon Character? 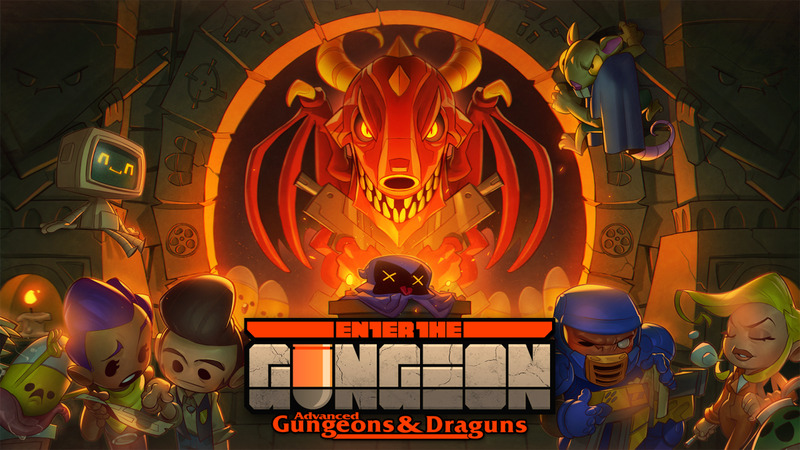 Enter the Gungeon is not an easy game to beat. You must fight many enemies and difficult bosses. This article will teach you tips to survive longer and beat the game more often. Use the table of contents to jump to a section you want to read. One of the first steps to taking less damage is knowing what each enemy does. It is hard to avoid getting shot If you are not sure what is coming. Every enemy in the game has a pattern of some kind, and it is important to pick what targets are the most important. Some enemies are much more annoying than others. There are many factors to consider when deciding what enemy to go after first. Some enemies shoot bullets at nothing while others try to shoot directly at you. Usually, the ones that chase you are much more dangerous, and I tend to go after the most aggressive enemies first. There are certain enemies that make others stronger. Going after these ones first is a good idea when possible. Of course, everything is situational. Depending on the layout of the room and where everything is you may do things differently. The next important thing to remember to be defensive. You cannot win the game if you die. You may be thinking that is obvious. But there is more to it than saying it and knowing it. You need to do things to help in your survival as there are hordes of enemies to battle. It is important to do what you can to avoid damage. Take your time when fighting enemies as there is no time limit when clearing rooms. I try to take on enemies one at a time. Always have an area to fall back to or use as cover. Also, remember to use blanks. Use blanks when you are surrounded or get cornered. Don't forget to flip tables and use them as cover. You can also roll over flipped tables if they get in the way. There are two types of heart containers in the game. Half and full heart containers. These heart containers are bullet shells, and a full heart is two shells. Using heart containers is the main way you will heal yourself in Enter the Gungeon. When you have full health, pick up extra heart containers you find. There is a machine that stores these extra heart containers. Don't forget to get these extra hearts if you need them. 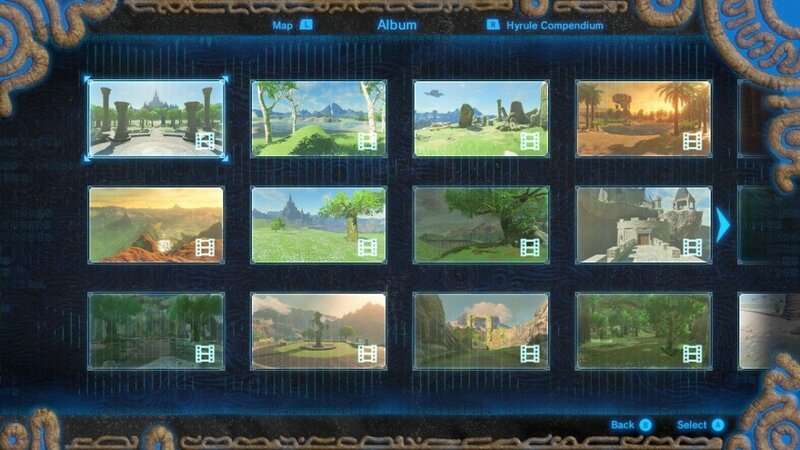 These are only stored for the current level you are in. I always buy certain items when I see them in stores. For example, the game has various heart containers, and heart containers increase your life points by one. Having extra life points is huge, and I focus on buying these. Before bosses, I sometimes spend my currency on blanks, health, and armor. It depends on the floor and how much currency I currently have. For the later floors, I do this most of the time. Especially the floor four bosses. “A bird in the hand is worth two in the bush” is an old proverb. It means it is better to appreciate and use what you have currently than waiting for better things in the future. Do not be afraid to buy cheap items that help you a lot early on in runs. You need to beat the early levels to survive to the harder ones. I think passive items are some of the best items you can get in the game. With enough passive item boosts your character will be strong even with weak guns. I buy items that boost my character passively whenever I can. Use active items often. If you start as the pilot or find certain passive items, you can hold two active items. If you have two active items, don't forget to switch between them. There are a lot of synergies between items. To get these helpful benefits it is important to find many items. The Gamepedia Wiki is a great place to learn about items and guns. I open chests every chance I can. I know some people avoid opening the normal chests and wait to find rarer ones. I sometimes do this later in a run, but early on I open whatever I can get. Some of the less rare items and guns are still helpful. Before destroying a chest wait and see if you find a key on the floor. Killing bosses is a way to find keys. You can buy keys from the store as well. Don't forget about using the lockpick when you play as the pilot. If the lockpick fails to open a chest, it destroys the lock, and the chest is now permanently stuck closed. Destroying chests sometimes is the best option. You will most likely get junk when destroying chests. Sometimes you get lucky and get a gun or an item when you destroy a chest. If you do decide to destroy a chest, make sure you do not stand too close. Chests sometimes explode when destroyed. If a chest has a fuse, it will explode when the fuse runs out. 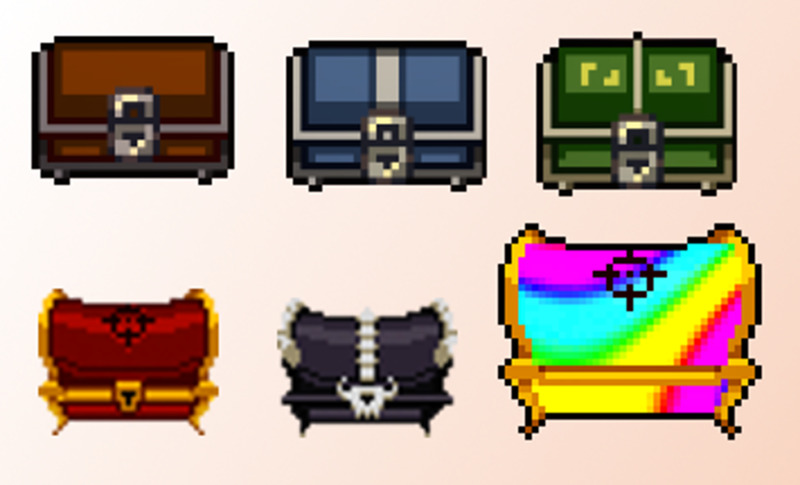 Before approaching a chest look at it for a few seconds. If the chest moves it is a mimic. Mimics can catch players off-guard. Killing a Mimic gets you an item just like you opened a chest. I have also once seen a Mimic disguised as a boss loot pedestal. This really shocked me, and I was not expecting it. A good strategy is to keep using a gun if you like it. Don't worry about reloading and using every gun you find. Sometimes I can clear the second and third floor using one decent gun. Remember to use any ammo you find right away. The Resource Rat always steals ammo if you leave it alone for too long. 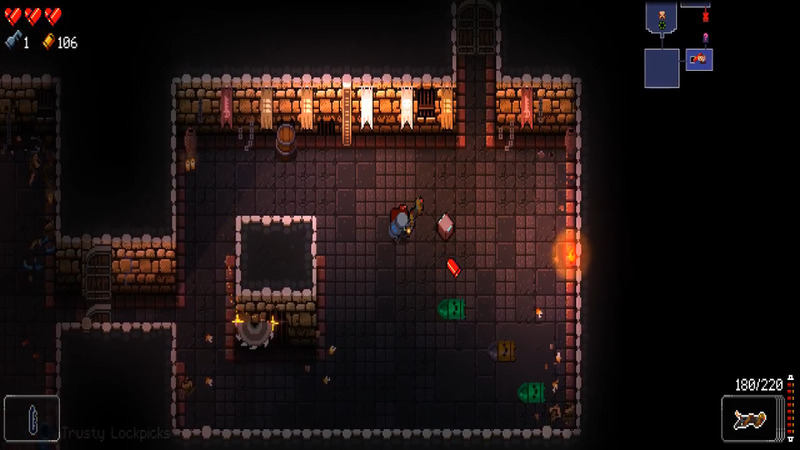 There are two types of ammo pickups in Enter the Gungeon. Red and Green. Red containers refill all your gun’s ammo a little. Green containers completely refill the current gun you are holding. Understanding how the characters are different from each will help you survive longer. 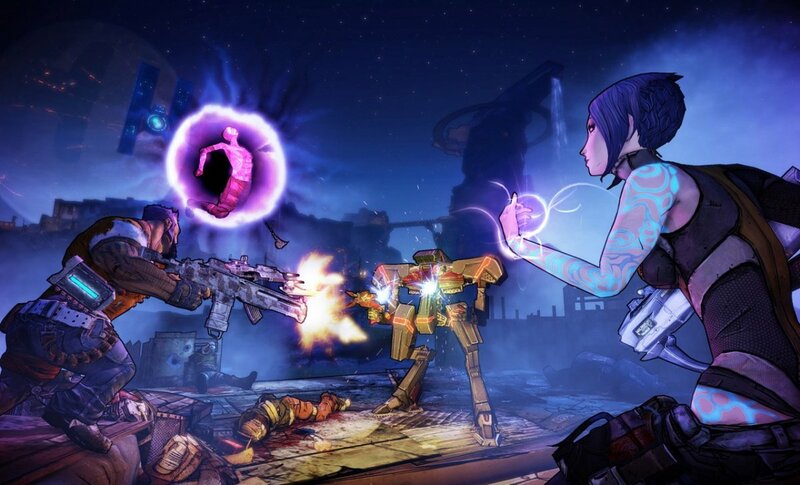 Each Character has unique starting items and guns. Get used to using the sword at melee range. Practice blocking projectiles by reloading the sword. Find an item to replace her Molotov cocktail. If you take damage keep on shooting and hope the extra damage buff helps. Shoot the budget revolver fast and spam shots at enemies. Use blanks when you are dead. Use the Friendship Cookie when the other player dies. Be alert when the dog finds mimics. Take advantage of her decent starting pistol. Use the crossbow early on. Use the extra items her dog finds for you. Find a gun you want to use most of the time. Find an active item to use after supply drop is gone. Prioritize using ammo crates on that gun. Take advantage of the supply drop to keep using your favorite gun. Find a gun to use instead of the starter pistol. Open as many chests as possible. Be careful as you cannot find heart containers. Find a gun fast for a consistent ranged attack. Focus on trying to find armor and items that give armor. The Bullet is a secret character you unlock by playing the game. If you don't mind reading spoilers read this page to learn how to unlock the Bullet. The Bullets main weapon is Blasphemy. This is a sword that you swing to damage enemies. If you have full health, you shoot out projectile beams. These beams remind me of how Link does the same thing in some older Legend of Zelda games. Using reload destroys and removes projectiles in front you. Careful though as it only does this at the start of the animation. This probably will take some getting used too. The last fun thing about The Bullet is the Live Ammo passive buff. This lets you bump into enemies and take no damage. Previous enemies that would hurt you for touching you do not anymore. Tazies and Blobulon are a few examples of enemies that no longer hurt you. If you dodge roll into enemies, you do damage to them. This makes sense seeing how you are playing as a living bullet. If you find the Armor of Thorns item you do even more damage when rolling into enemies. The Convict is an interesting character. She starts with some offensive based items, and she has an item that increases your damage when you get hurt. With the Enraging Photo, every time you get hurt your damage goes up for a slight period. The damage boost is useful in challenging rooms and boss fights. The Enraging Photo works great with other similar items. She starts with a Molotov cocktail. The Molotov cocktail is a useful active item in the early levels. I use it to clear bigger rooms. The Molotov cocktail is helpful on some bosses, but it depends. Some bosses are resistant to fire. The Molotov cocktail a nice item, but I do tend to replace it often. She starts with a sawed-off shotgun. This gun is useful early on. It is nice to have an alternative gun to switch to. You need to get very close to enemies to do the most damage. The gun often misses past this range. I tend to either sell this gun or toss it in a Muncher. It is not as good on the later floors. The biggest negative with her is that her starting pistol is not too great. It has a nice rate of fire and a fast reload time. But it is inaccurate and does weak damage. I tend to rely on the sawed-off shotgun more on the early floors. 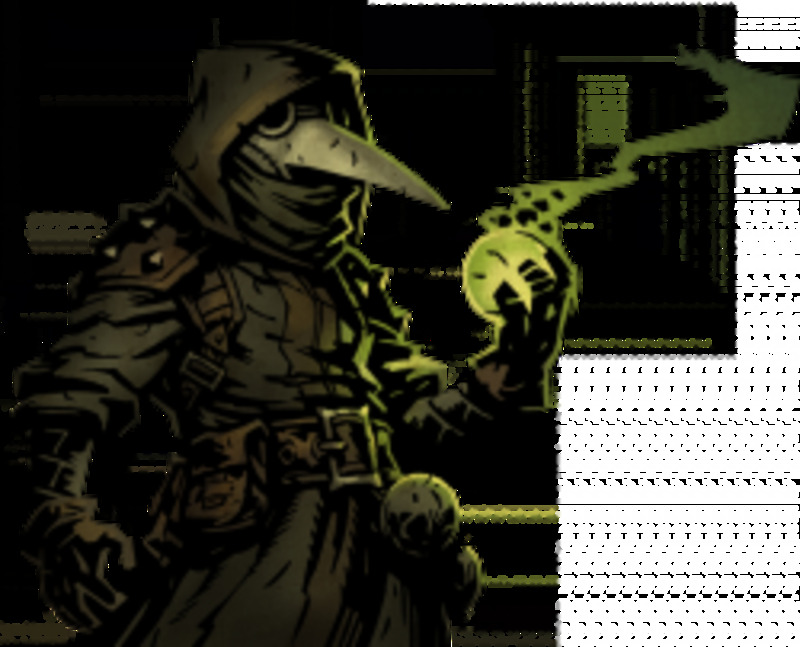 The Cultist is the character that a second player gets if you play local co-op. This means playing the game with another person. 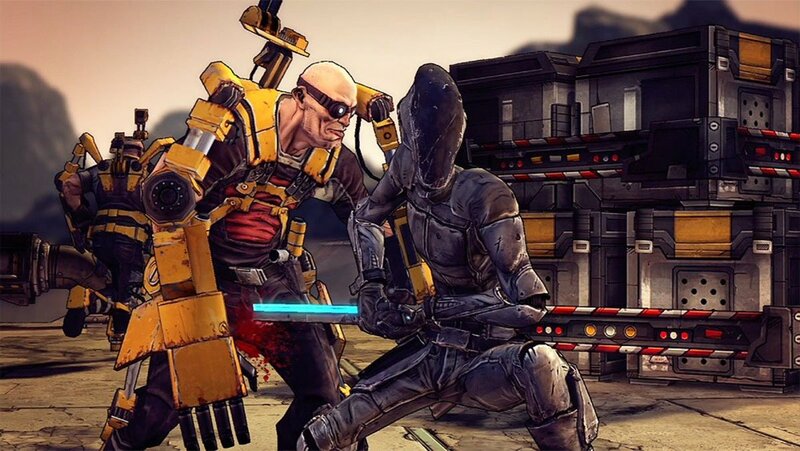 The cultist plays like any other character and does not have anything noteworthy about them. The dart gun they start is weak. The Cultist starts with an item called Friendship Cookie that lets them resurrect the main player once. They also start with an item called number 2 that increases their movement speed and damage when they are the only player left alive. 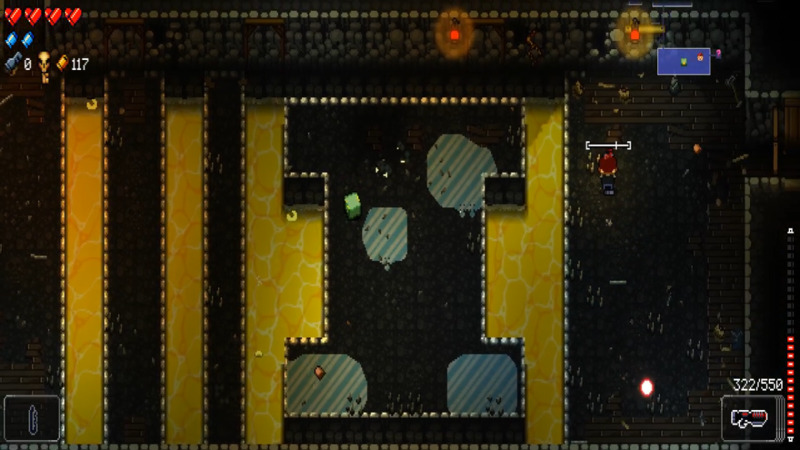 In co-op, mode enemies have more health than normal. 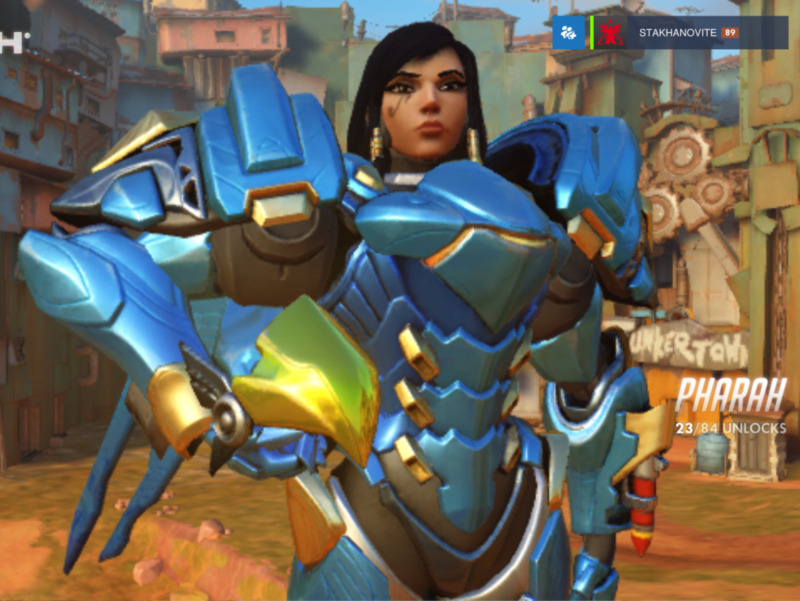 However, with two players on the screen. When playing with my friend sometimes it is hard to focus on just my character as too much is going on at once. Beating a boss also revives a dead player. If a player is dead, they get a free blank that works short range. Revive a dead player is dead by opening an undiscovered chest. When a player dies, they drop all guns and items. You can drop guns and items for the other player. The Hunter is a nice all-around character with little weakness. Her starting pistol is one of my favorites. It is very good on early floors. She does not start with an active item. If you want an active item, you will have to find one. She has a dog that finds extra items after clearing rooms. The dog will bark at chests that are mimics. Mimics can catch new players off-guard. 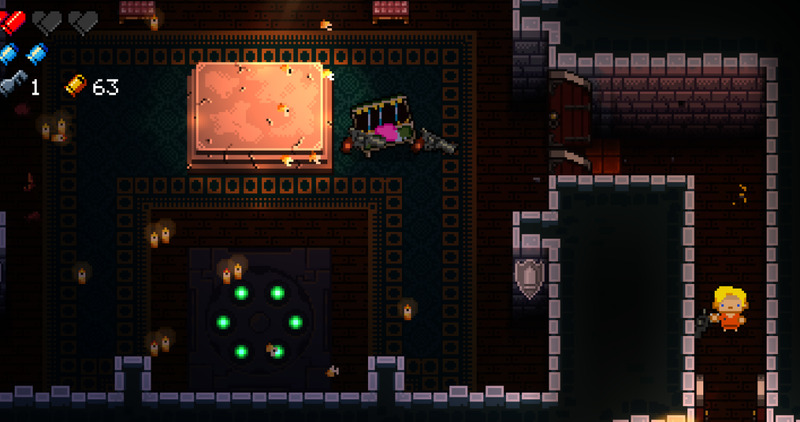 So always knowing when a chest is a Mimic helps a lot. She starts with a crossbow. The crossbow does decent damage, and it is very useful for early levels. The crossbow is useful for early boss fights. Depending on what guns I find on a run, I may even continue to use the crossbow on later floors. The Marine is an offensive based character and is an average character without any real weakness. He has a good starting gun, and the extra ammo allows you take advantage of decent guns you find. The Marine has a starting item that improves his accuracy with all guns. The supply drop allows you get one free ammo crate whenever you want. Extra ammo is very helpful early game. If I find a gun, I like a lot, I will get the free ammo crate to keep on using it. 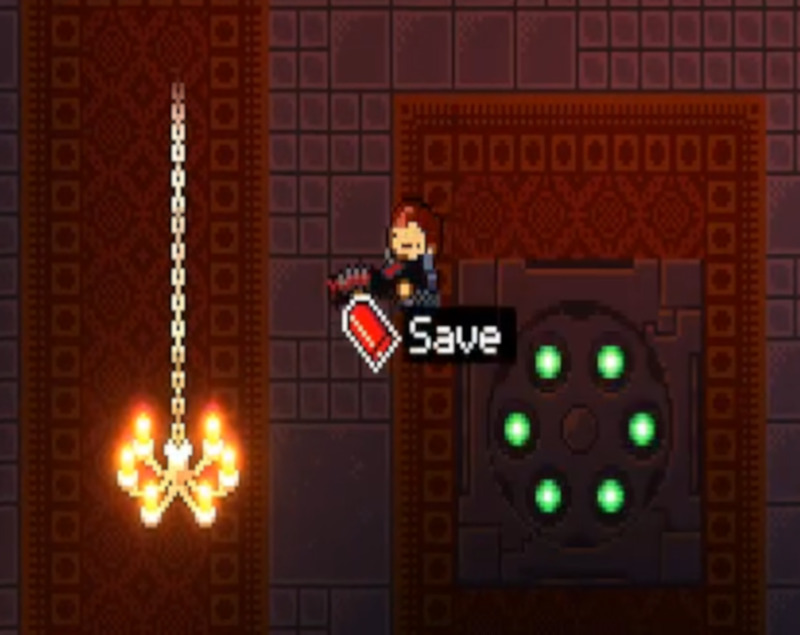 Using a decent gun makes the first few floors much easier. My strategy is to save the supply drop until I need it, or I find another active item. The Marine starts with one piece of armor each floor. Chances are I am going to get shot or hit at least once on a floor. Another plus of the Marine is that his starting pistol also is decent. It can hold its own for the first few floors If you are very unlucky and do not find any guns or run out of ammo. The Pilot is the jack of all trades character. He starts with decent items and has room to hold two active items. Having two active items helps in the later game. The Pilot buys cheaper items in stores. You can buy more ammo, armor, and blanks. The Pilot starts with a lockpick. The lockpick has a chance to unlock chests and certain doors. Drop the lockpick if you find a better active item. You do not need the lockpick as much when you get to the final levels of the game. The one negative of this character is that his starting laser is unimpressive. The laser is very inaccurate. You unlock the Robot in the game after completing a certain quest. If you are curious and don't mind being spoiled read here. The biggest changes about the Robot are that you have no heart containers and you never will be able to acquire any. Picking up heart containers gives you currency, and the Master Rounds at the end of bosses gives you armor. You need to play even more defensive as it will be very hard to replenish your health. There are a few items that can greatly help though if you are lucky and find them. Of course, use blanks and other defensive items often. The Robot has a decent starting gun that fires and reloads at a good speed. Coolant Leak is not so helpful unless you have items that electrify the water. I guess you can use it to put out fires. Lastly, I want to restate again that this is a game of survival. You need to do everything possible to make this easier. Keep practicing floors and learning what enemies do and learn to play the characters. You will eventually beat the game. I already noted that. "Coolant Leak is not so helpful unless you have items that electrify the water. I guess you can use it to put out fires." Not everything is true like with the robot. the robot starts with a item that electrify water and your coolant. I have not heard of LostX Dungeon before. I will at least look at it.